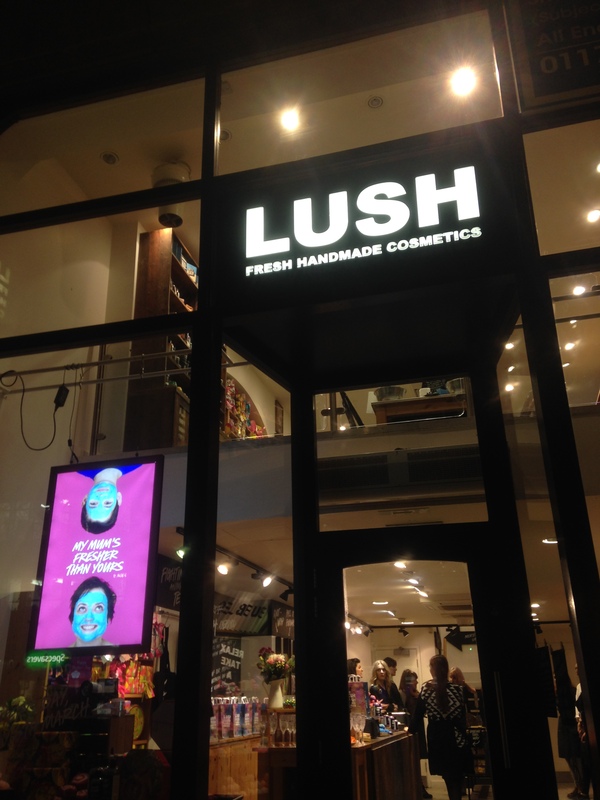 It’s that time of the year where a bunch of us local welsh bloggers get invited to a get together in Lush to shop and try their new product lines, this time it was for their new limited editions in their Mothers Day and Easter lines. 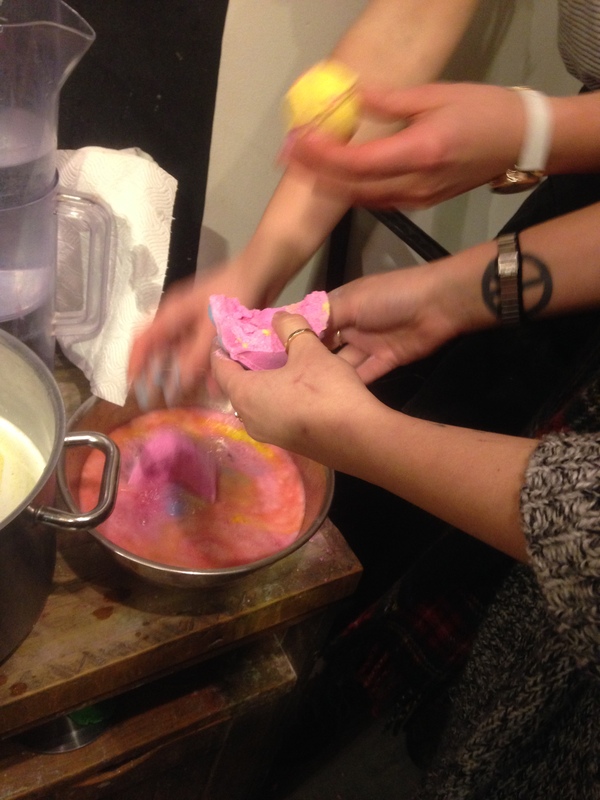 Bath Bombs, Bubble Bars and scrubs were all being demo’d as well as well as mini hand demo’s of face masks and scrubs and hand products. There were also new products in their standard line such as the Sugar Daddy’o, which is to be used in conjunction with Daddy’o shampoo to help eliminate brassy tones in hair, and an Avacado Co-wash, which is to be used in between washing your hair to condition and help cut down the amount you wash your hair with harsh shampoos. 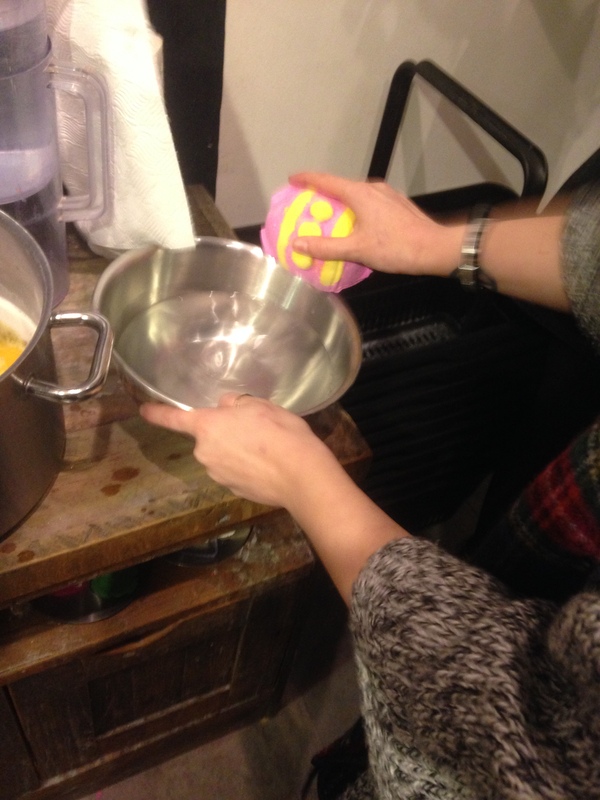 We were also shown some of the new Easter products, which included the return of the Golden Egg bath bomb and a bath bomb which you can use up to 3 times called Which Came first? which needs a good few taps on the side of the bath to crack open. When cracked open it contains a little chick which can be used as a whole, and the outter shell can be used in two halves. 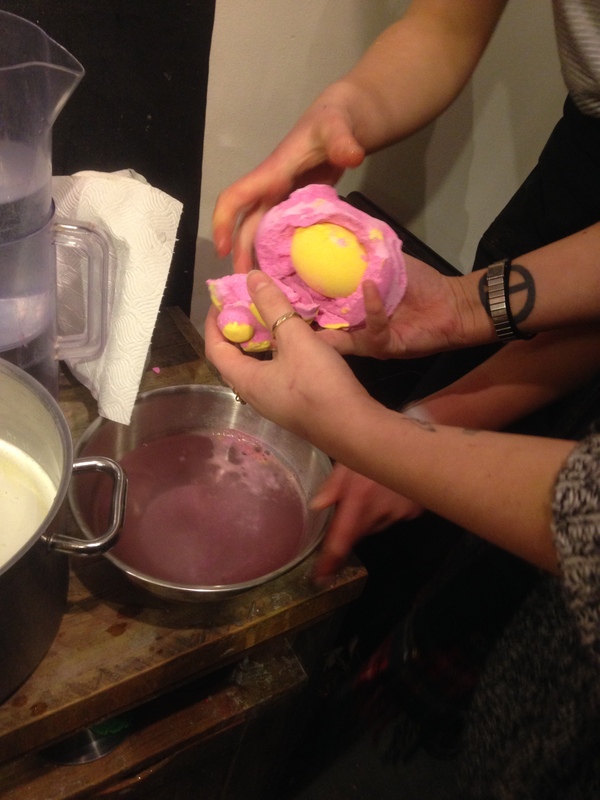 (Cracked open by SJ from Cowbiscuits) Other Easter Bath Bombs included another which you had to crack open called Humpty Dumpty, and Fluffy Egg which smelt like a less pungent version of their Christmas limited edition best seller Snow Fairy. This is what the Golden Egg looks like while it’s fizzing away. 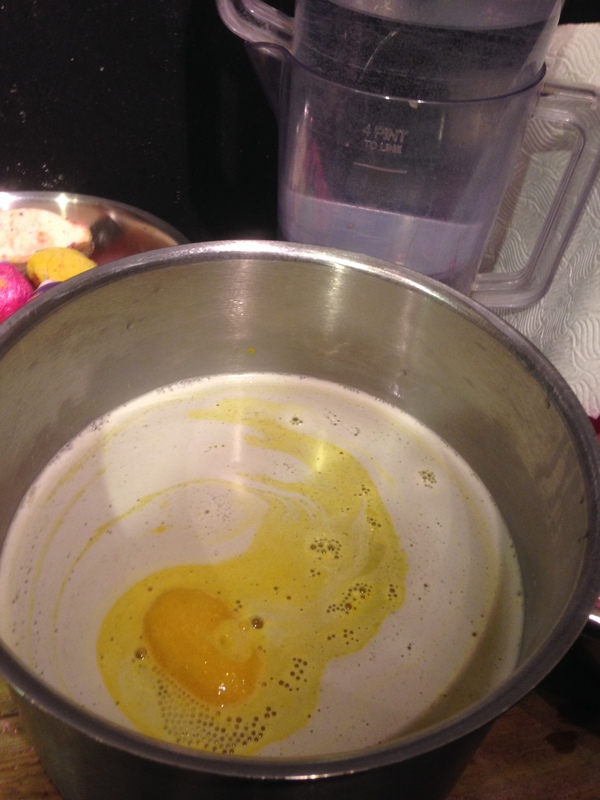 The aroma is moreish and includes orange, bergamot, cocoa butter and smells a bit like caramel! 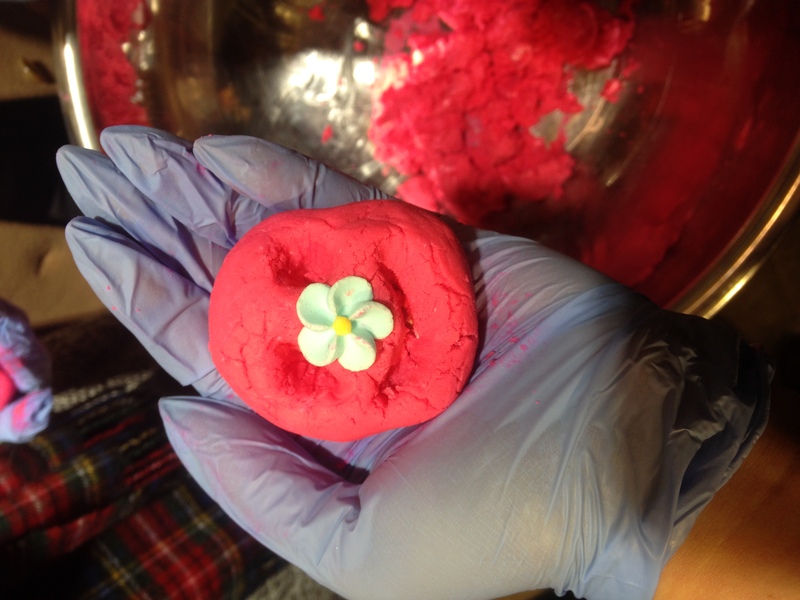 I also got to make my own Bubble Bar, and decided to make a happy face which turned into a creepy baby. 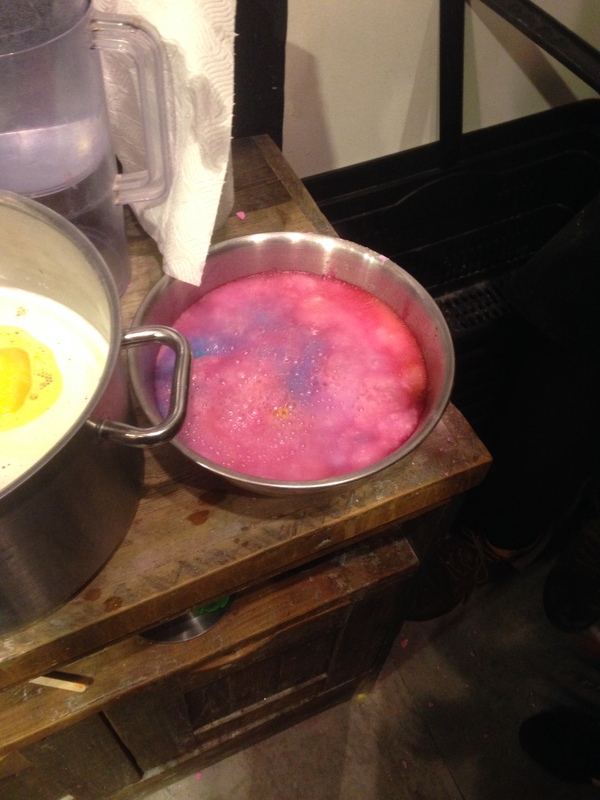 But it smelled delightful and I can’t wait to use it when I decide to opt for a bath instead of a shower! 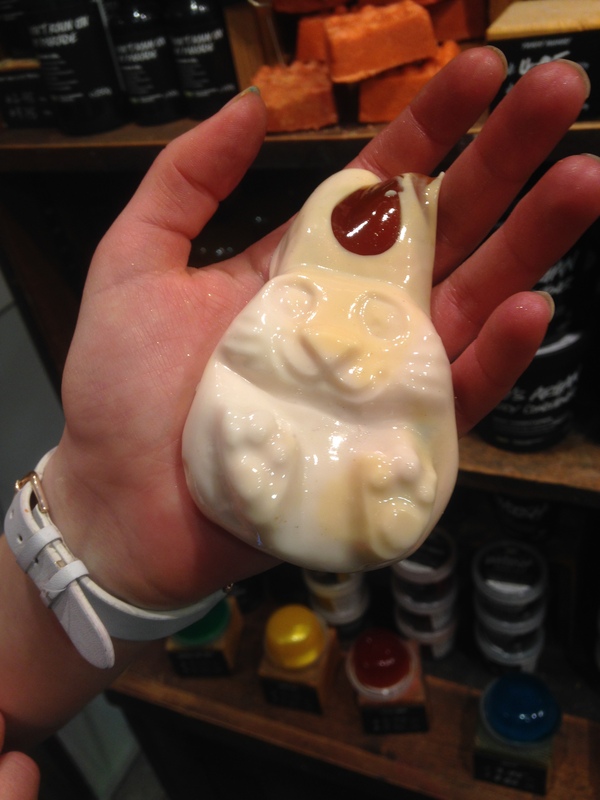 Another product from the Easter line which was adorable was the shower jelly Bouncy Bunny, which smelt like fresh oranges. I couldn’t stop touching it’s little paws, they felt like a real rabbits! As I was on a budget this visit I limited myself on the products I purchased and actually spent under what I limited myself to, so I opted for the new Sugar Daddy-o conditioner, a very Versace looking knot wrap, and a repurchase of a Pumice Power. I was kindly given a Golden Egg and Fluffy Egg, which the boyf will get to use and let me know how they are as I’m not keen on baths, and a Yummy Mummy shower gel. 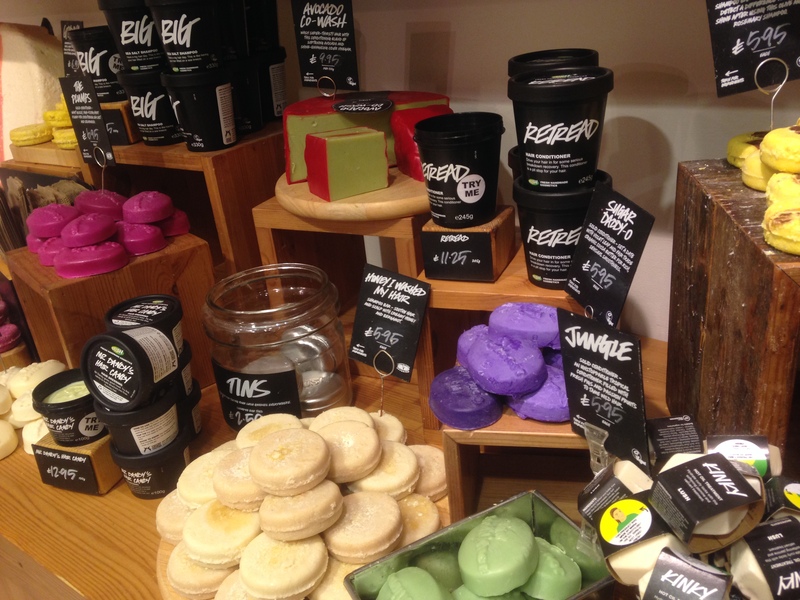 Be sure to pop into your local store to see the Easter Collection, there’s literally something for everyone this year and the smells range from sweet to fresh, and shower to bath supplies! 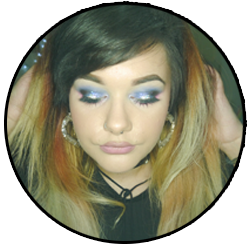 Posted on March 12, 2016 by sindyydollPosted in Local and National Events, Lush, Press EventsTagged beauty blogger, british beauty blogger, Easter Review, lush, lush blogger event, lush cardiff, lush event, lush review, Welsh Beauty Blog.